This is assuming the battle with Aizen goes off without a hitch,xD,which it won't. Ichigo was walking home from school with Chad,Keigo,and Mizuiro,it was a nice day. The sun was out,only a few clouds. Really nice. He noticed a group of girls ahead of him,it took him a minute to recognize them. It was Orihime,Chizuru,Tatsuki,and their friends whose names Ichigo never could remember. Chizuru was grasping Orihime from behind,holding the redhead's breasts. "Come on Orihime,give into my charm!!" She insisted. Ichigo came up behind them,and said,"Is this what girls do after school?" He asked. "No,I wish though it's a lot better than what I usually see." Keigo said casually. Everyone looked at him for a second,only Orihime ignored it. She was red-faced. "No Ichigo,not usually! I don't like girls like that,Chizuru is just really aggressive!!" She blurted defensively. Ichigo looked at her. "I know Orihime,I was only joking. Seriously though,Chizuru you're not to scared to embrace your sexual tastes huh?" "Of course not,if I just hide it,I never get what I want!! Who cares what others think,though Keigo creeps me out sometimes..." She replied. "He seems a little too accepting..."
Keigo smiled innocently. Ichigo took a step closer to Orihime. "Orihime,can we talk alone for a second?" He asked. Orihime nodded,looking surprised. "Oh come on Ichigo,you're trying to steal her from me!!!!" 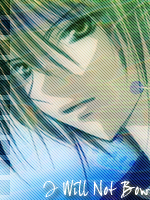 Chizuru and Keigo shouted simultaneously. "Shut the hell up,no I'm not!" Ichigo barked defensively. Ichigo walked Orihime behind a building nearby,and sighed. "I haven't had a chance to talk to you alone since the operation in Hueco Mundo." He began. "How have you been?" He asked. "Pretty good." Orihime responded. "I've been a little shaky every time a Hollow came,but I'm sure I'll get past it." Ichigo nodded. "Alright,anyway,I'm just glad you're okay." Orihime smiled weakly. "Ichigo...I really want to confess something..." She began. I'm going to tell him that I love him,I need to do it. I won't let something like that terrible incident interfere with he and I ever again!! She thought. Ichigo listened attentively,looking curious. "I....l...l....like that you came and saved me,thank you." Ichigo knew that wasn't what she was going to say. "Orihime,I know what you were going say,and that you're nervous." Her eyes widened,did he really know?! "I...I know you love me." Orihime blushed fiercely,her whole face was extremely red. "Ichigo...."
Then he leaned in close and hugged her. "I...I love you too,Orihime. I realized that when you were captured,I realized how important you were to me. I love you." Ichigo told her,feeling awkward,and blushing a little himself. Orihime was so in shock,but a smile crept across her face. "You...love me too?" She asked excitedly. "I'm so happy!!" She shouted,holding him tight. The others grew impatient,and were peaking around the corner,and saw them holding each other. Keigo and Chizuru looked angry,Tatsuki was smiling,the other girls didn't seem to care,and Chad stood there kind of emotionless.